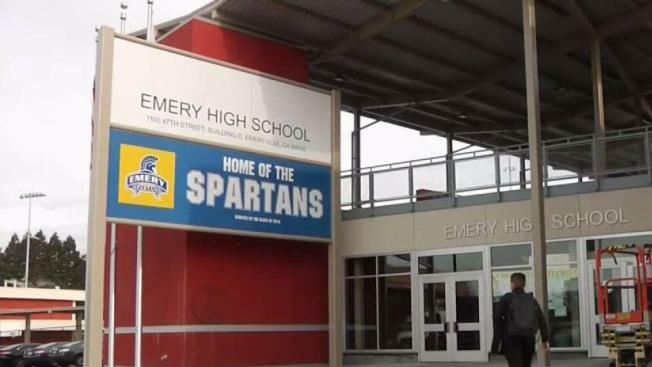 Schools in Emeryville reopened Tuesday after a threat of violence was deemed to be a hoax. Pete Suratos reports. School district officials in Emeryville decided to close all of the district's schools Monday because they received a threat of violence against students and staff late Sunday night, police said. Based on the nature of the threat, the Emery Unified School District decided to close schools until the credibility of the threat could be determined, police Chief Jennifer Tejada said in a statement. However, Tejada said an initial investigation of the threat indicates it does not have any merit and is a hoax generated out of a dare within an overseas online gaming community to see who could generate the most school evacuations in the U.S. and the United Kingdom. "We are monitoring social media and are seeing schools in Alameda County and others around the country reporting similar threats," Tejada said. Schools in Emeryville are slated to reopen Tuesday after a threat of violence was deemed to be a hoax. Pete Suratos reports. Tejada said police officers have been posted at Emeryville schools since 7:30 a.m. Monday. She said authorities believe the threat is not credible but the Emeryville Police Department will leave officers in place for the rest of the day and to assist with the reopening of schools on Tuesday morning. Emeryville police Capt. Oliver Collins said it appears that many California schools received similar threats. Collins said Emeryville police forwarded the threat to the FBI.